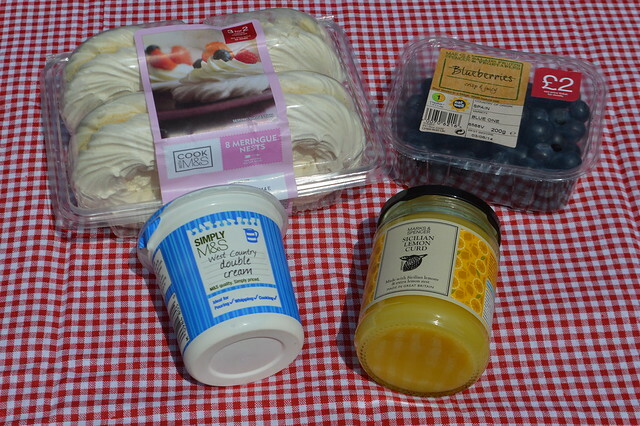 This is the third and final installment of the Summer of Flavour posts featuring lots of lovely M&S products which I have tried and tested recently. 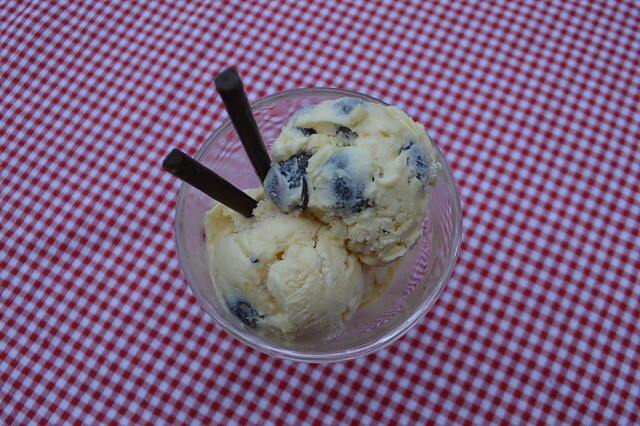 This recipe is for a frozen dessert which has gone down a treat in my house during this hot spell we seem to be having. 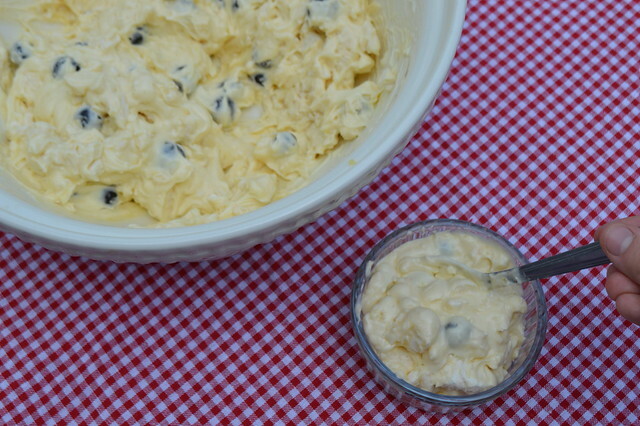 The lemon curd makes it nice and sharp, the frozen blueberries are super sweet and the meringue is lovely and chewy. You wont need any fancy equipment or a ice cream maker to try this one out. 1. Lightly crush the meringues and set aside. 2. 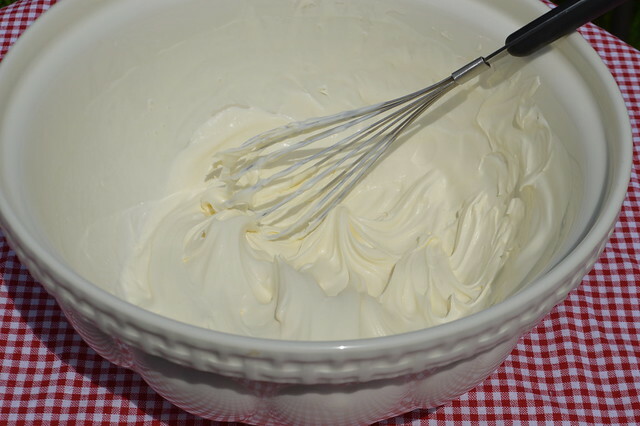 In a bowl, whip the cream to soft peaks. 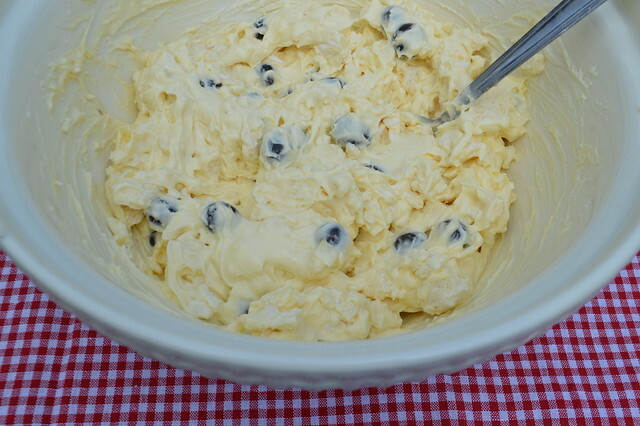 Fold in the lemon curd and the blueberries. 3. Now fold in the crushed meringues. Spoon into a 900g/2lb loaf tin lined and over-hanging with cling film. Open-freeze until firm then fold the overhang of cling film over, wrap again and freeze until ready to serve. 4. Alternatively spoon into 8 ramekin dishes, cover tightly with cling film and freeze. 5. Transfer the frozen loaf to the fridge 30 minutes before slicing. Ramekins are best left to stand at room temperature 10 minutes or so before spooning into. I served mine with some dark chocolate sticks that I got in the last degustabox but it would be great with some extra fresh blueberries scattered on the top. Will you be trying this yourself?